"An infirmary for the Kenyan village Chwele"
Lecture Hall terra mineralia, Freudenstein Castle, Admission free. Adequate medical care is very rare in the rural areas of Kenya. Especially the population in the heavily agricultural areas of the country has virtually no access to basic medical care. According to the World Health Organisation, the ratio of doctors to patients in Kenya amounts to just 2.2 : 10,000 (as of 2012). 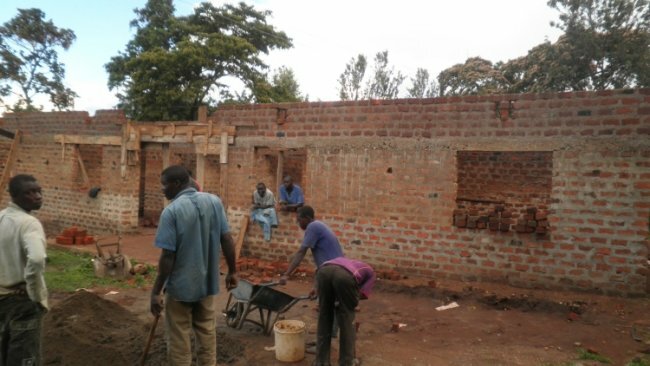 In order to contribute to a sustainable improvement of medical care and to increase the quality of life of the local people, the Regional Group Freiberg - Engineers Without Borders established an infirmary together with the Open Hearts association in Chwele/West Kenya. The Regional Group Freiberg brings together people from many different areas to pursue a common goal. The tasks are simple but effective and sustainable concepts for supplying the infirmary with power and water as well as solutions for sanitation and waste management. During the lecture you will be informed about the approaches, ideas and goals as well as the development status of the project. "Unsolved mysteries of the history of discovery - On the trails of early cartography"
114th Freiberger Colloquium, Lecture Hall terra mineralia, Freudenstein Castle, Admission free. The lecture centres on a relic of the very interesting history of cartography that dates back to the time of the great cartographers (around 1530) which not only shows until then undiscovered coasts, but even depicts an image of a mysterious ancient Egyptian vessel. The lecturer, Dr. Dominique Görlitz, will affirm his comments with his observations of the early voyages of discovery and ancient to early medieval navigation that he made by using replicated reed boats while capturing it on film. Dr. Dominique Görlitz wrote his thesis on the mysterious nicotine and cocaine discoveries in ancient Egyptian mummies and thereby proved in research experiments, with the Institute of Crop Plant Research and Plant Genetics (IPK) Gatersleben, that the oldest agricultural crops of the new world possibly received stimulations from other agricultural centres of the old world in the form of cultivated plants and breeding methods. In this way he attained unique interdisciplinary biological, geographical and cartographical research results, of which he will present examples. The richly illustrated lecture "Freiberg and the Wettins" is about the relationship between the Saxon mining town and the Wettin sovereigns from the 12th to the 19th century. Dr. Herbert Pforr, an expert on the Freiberg history and author of numerous publications on this topic, will be speaking on 23rd November 2012 at 7 pm in the Lecture Hall of Freudenstein Castle, Schlossplatz 4. "About 80 percent of the Saxon silver originated from the Freiberg mining district. For the Wettins it was a significant source of their wealth. From the 12th to the 15th century, Freiberg was the most important town economically of the Wettin domain", Dr. Pforr reports. Dr. Pforr further informs: “From 1505 onwards Duke Henry the Pious (1473 - 1541) lived in Freudenstein Castle in Freiberg. He founded the 'Freiberg Wettins' family line. 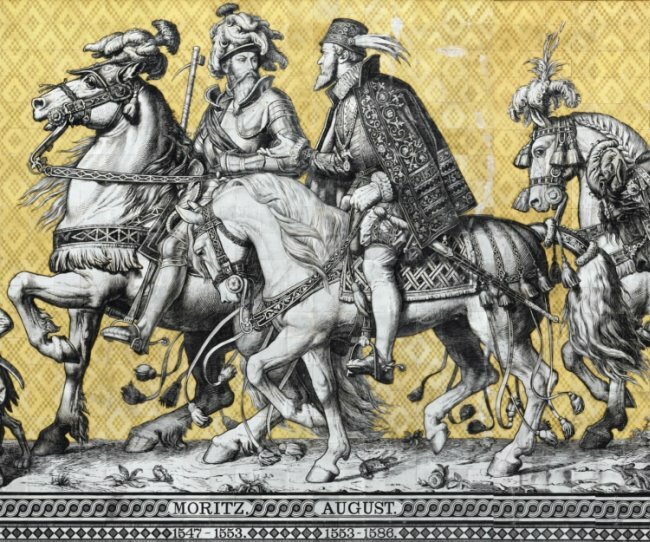 From 1539 till 1918 his descendants ruled as electors and kings in Saxony". In the lecture Dr. Pforr will also explain how the civilian town secured royal privileges for itself, to independently shape development processes and claim its role as the main mining town in Saxony. Dr. Herbert Pforr was born in 1931 and studied at the Bergakademie Freiberg until 1956. As a scientist, he worked in the fields of geotechnology and mining at the Deutschen Akademie der Wissenschaften zu Berlin and the TU Bergakademie Freiberg. 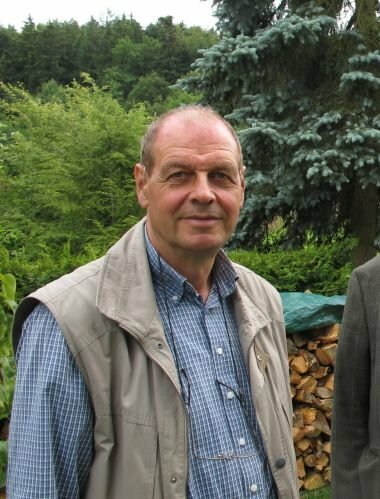 From 1980 till 1994 he was director of the mine "Himmelfahrt Fundgrube” which under his leadership was converted to a teaching, research and visitor mine after the regular mining operations were ceased due to economic reasons. Since 1995 Dr. Pforr has been publishing books on the mining and urban history of Freiberg. "Exploration of the Lusatian copper slate"
113th Freiberg Colloquium, Lecture Hall terra mineralia, Freudenstein Castle, Admission free. In recent years, the ore and spar deposits in Saxony have once again been attracting the interest of the mining and raw materials industry. Domestic and foreign companies are exploring various deposits according to internationally recognised standards. Besides the assessment of deposits, the exploration projects also include testing of appropriate methods for the preparation and profitability of potential production projects. The KGHM Kupfer AG, Weißwasser, a subsidiary of the Polish resources company KGHM Cuprum, is exploring the Lusatian copper slate in a field approved by the Saxon Mining Office, in the Weißwasser area. In recent months, the project became visible to the public in the Lusatian region when the first exploratory drilling to a depth of about 1,500m, took place. Dr. Jolanta Dmowska, Managing Director of KGHM Cuprum AG, Weißwasser, presents the project on 25th October 2012 at 7.30 pm in the lecture hall of terra mineralia. "Flood protection concept for the Münzbach"
112th Freiberg Colloquium, Please note: Different venue! Senate Hall of the TU Bergakademie Freiberg, Akademiestr. 6, Admission free. The focus of the next Freiberg Colloquium is flood protection in the silver city. On Thursday, 11th October, at the Senate Hall of the TU Bergakademie Freiberg, Akademiestr. 6, civil engineer Rolf Rothermundt of the Freiberg City Council will talk about lessons learnt from the flood of the century in 2002. From 7.30 pm, Mr. Rothermundt will present the concept that was developed by the city council to protect Freiberg against the dangers of flooding. 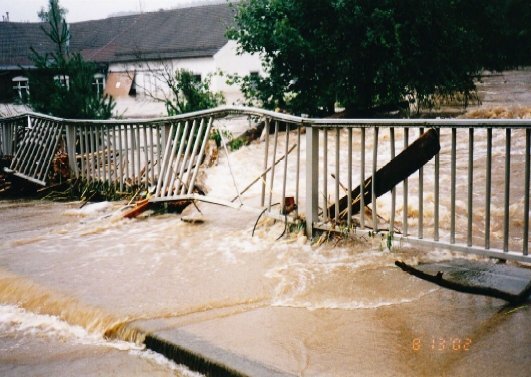 Ten years ago, when the whole of the Ore Mountains region was devastatingly flooded due to heavy rainfall, districts of Freiberg were also under water. 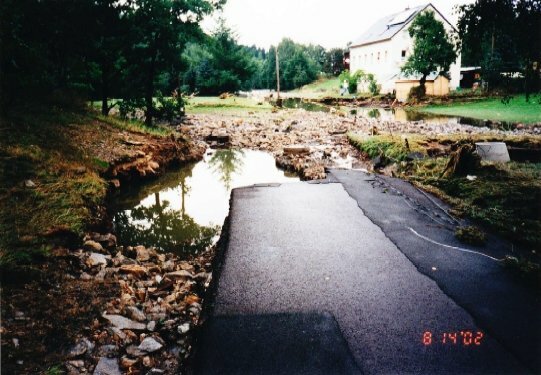 “Fortunately the city district was largely spared as the water could flow out through a crack in the earth’s surface caused by collapsing mine shafts," says Rolf Rothermundt of the City Council, whose area of expertise is roads, bridges and dam construction. At the Freiberg Colloquium, the engineer will present measures taken by the silver city to improve flood protection. As a result, water levels are now carefully observed during heavy downfalls and, measures have been put in place to quickly pass information to the people responsible and the residents in the affected areas. For the Münzbach, which flows through Freiberg, the city council has developed its own approach for managing flood protection. In his presentation, Rolf Rothermundt will explain the strategy used in the preparation of the plan, the experience gained and the characteristics of the Münzbach. Admission is free and pre-registration is not necessary. "More illusion than reality –Real and fake marble in Germany"
111th Freiberg Colloquium, Please note! New venue: Senate Hall of TU Bergakademie Freiberg, Akademiestr. 6, Admission free. Marble is found in Germany more often than one would think. However, real marble - in the mineralogical sense of the word, i.e. crystalline carbonate rocks - have only little use as ashlars due to very limited resources. Their glory days are mostly evident in representative buildings from the Renaissance and Baroque periods, as in those days, cost pressure of Italian imports resulted in the exploration of own resources. Long before discovering their use as sculptural ashlars, many of these deposits were used in the production of lime fertilisers and mortal lime and as a flux in metallurgy. Kurfürsten, Saxony, can be particularly thankful that many types of marble, which do not exist today, were extracted from local quarries. Around the country, this also applies to a far greater extent to fake marble, which cannot be termed marble from a mineralogical point of view, but which look very similar on the exterior. In a broadest sense, these “unreal” marbles are polishable stones and the term marble has been adopted as their trade name. Until very recently they have been used in civil engineering and commercial construction. Their decorative variety is surprisingly large and they are a testimony of a flourishing natural stone industry, which provided work and pleasure for many people until long after the war. This lecture will take you on a journey through Germany’s most important centres of ancient and modern marble mining, and to architectural structures that are often more an illusion than reality. 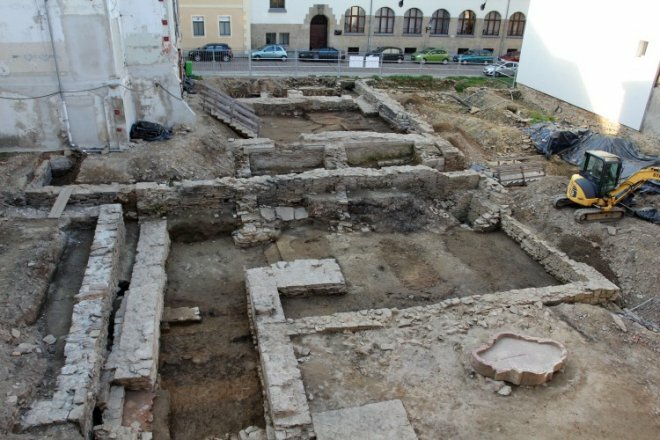 "New archaeological discoveries in Freiberg"
110 Freiberg Colloquium, Please note! New venue: TU Bergakademie Freiberg, Senatssaal, Akademiestraße 6, Admission free. Building and construction in Freiberg city centre during recent years has always been associated with extensive excavation. Be it the garage construction on Fischerstraße; the conversion of Schloss Freudenstein into a mineral exhibition and archive; or now, the planned building of a lecture hall in the future Schlossplatz quarter – archaeologists always arrive before the diggers. 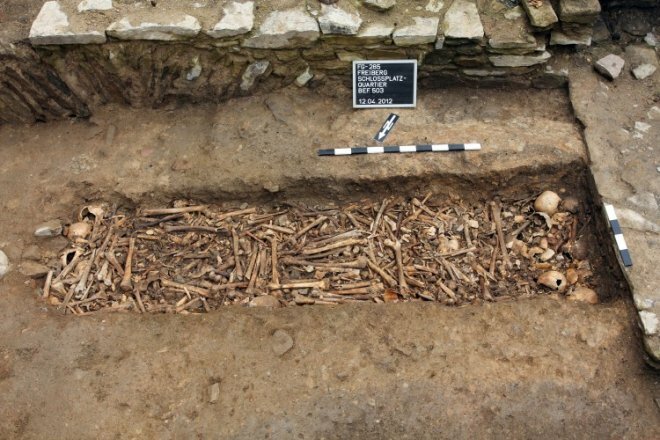 In this lecture, Dr. Westphalen will present findings of the most recent excavations in Freiberg. "Radiesthesia – Earth radiation, dowsing rods and geophysics"
109 Freiberg Colloquium, Lecture hall terra mineralia, Freudenstein Castle, Admission free. Friedrich Balck is a professor at the Institute for Physics and Physical Technology in Clausthal-Zellerfeld. For many years he has investigated certain phenomena in nature and effects on people that science has been unable to explain. Certain people have developed and trained amazing powers of perception. This, however, is rejected by classic science or regarded as an illusion. As highly sensitive biological sensors, human beings possess great abilities that have not yet been fully explored. Phenomena observed by radiaesthesia, the study of the effects of radiation on organisms, could however be the key for research to broaden and complete our view of the world. It is therefore more than the “black magic” abused by charlatans. We know from plants and animals that the smallest sensations are preserved. We marvel at the destination orientation of bird migration or carrier pigeons, the location of fish spawning grounds, and premonitions of earthquakes and weather disasters. We know about plant orientation in the fields of physics known to us, and marvel at changes that we cannot verify using measuring instruments. Animals also pick up on our mood; they sense when something unpleasant is about to happen to them. Many of these “natural wonders” have been reported in the media and most can also be explained by science. Now, however, in nature and people, there are clear experiential changes in various locations, which cannot be explained with electromagnetic, acoustic or thermal effects in the conventional sense. Radiaesthesia in its real sense is concerned with this phenomenon. It is somewhat lightly dismissed as “scientific nonsense”. However, the fact that at its beginning science too was dependent on numerous observations is forgotten. Scientists have observed, investigated, compared and searched for confirmation. Today everything appears to be different, due to the existence of reliable measuring instruments for almost anything. Use of natural senses for research purposes has retreated to the background. Science too needs its “cranks”, otherwise all creativity is lost and access to new ideas and insights remains closed. What audacity, that we might look into the past using the light of the universe or that the gravitational field represents a curving of space! In Isaac Newton’s time this claim would certainly have landed one in the madhouse. Now we go one step further and suspect, together with some renowned scientists, that there are natural and likewise clearly human phenomena and observations, which until now have not been confirmed by instruments and “objective” observation. Frequently cited examples include the search for water or the location of lodes. The ability to search for a good place to sleep likewise is one of the assignments of a trainee diviner. Radiaesthetic equipment (rods) is however not absolutely necessary. There are people who work without aids and are able to determine variously perceptible qualities of sites. Laboratory experiments with artificial “water wheels” show that interaction exists between running water and the smallest alternating magnetic fields. The effects can be seen in the brain waves of test subjects. Using a water spool and a charged conducting wire, noticeable effects of running water and electrical currents can be generated. The effect on people can be measured objectively in their brain waves (EEG). Much has already been written about the “special” physical and chemical properties of water. One reason for this could be that the hydrogen building block, as the lightest, smallest and most common element in the known universe, might be influenced by matter still unknown to us. Radiaesthesia also finds clear structures, or so-called Psi-tracks, of hitherto unknown physical effects. These would be strong indications of the invisible, “fine” matter for which researchers at CERN are searching as the “God Particle”, in order also to explain the existence of “dark matter” or the changes in mass during a solar eclipse. These are observations that until now have avoided classic argumentation. Why should “dark matter” not be found on earth too? An exciting presentation and discussion evening with Friedrich Balck awaits you. "Miners take action in Bad Schlema – The reconstruction of the historical Markus Semmler Stollen"
108 Freiberg Colloquium, Lecture hall terra mineralia, Freudenstein Castle, Admission free. Since 2008, Dr. Stefan Mann, technical manager of the federally owned Wismut GmbH, has been responsible for the renovation of the remains of the uranium mine of Saxony-Thuringia. Part of his task is to take care of the mine building at Schlema-Alberoda, which was, in former times, the largest uranium deposit in Saxony. An important aspect of the renovation of the mining field is the restoration of drainage systems for the pit water, which are stable in the long-term. For the unique case of the falling water from the Schneeberger section, a drainage solution is currently being created. Due to the damage that mining operations have caused to the historical Markus Semmler Stollen, a harmless channelling of the water through the Oberschlemaer mining field is no longer possible. Therefore, a special bypass via the southern breakover (Südumbruch) will enable free drainage of the water once again. From the history of the Markus Semmler Stollen, the importance for the Schneeberg-Schlemaer Section is clear. The role of the shaft in the development of the radium bath in Oberschlema and uranium mining after 1945, will also be covered in the address. The development of the bypass project, "Südumbruch" will be covered in detail from the initial discussions regarding the options available, to the project planning, the authorisation procedures and finally the experiences of the first few months. "From global raw materials boom to Saxony silver rush (Berggeschrey)"
107 Freiberg Colloquium, lecture hall terra mineralia, Freudenstein Castle, Admission free. Global financial development during recent years has led to an increase in the demand for mineral raw materials. In addition to traditional industrial metals, a range of high-tech metals have also come into focus. Newly emerging industries have a strong and increasing need for these minerals. Mining and processing of these materials are therefore faced with new challenges. These developments have brought the attention of mining and extractive industries back onto ore and spar mining in Saxony - triggering a fourth Saxon silver rush. Prof. Dr. Bernhard Cramer has for many years analysed global mining trends and raw materials industries at the Federal Institute for Geosciences and Natural Resources and since 2010 at the German Mineral Resources Agency. Prof. Cramer became Saxony's chief mining administrator (Oberberghauptmann) on 1st of December 2011 and is in charge of the Saxon Upper Mining Authority in Freiberg. His lecture bridges the gap between his earlier activities surrounding the global boom in raw materials and current challenges in the Saxon silver rush. "The UNESCO Ore Mountain Mining Region Project is the subject of the first seminar in the Freiberg Colloquium lecture series"
106th Freiberg Colloquium, lecture hall terra mineralia, Castle Freudenstein, admission free. Terra mineralia, a permanent exhibition of TU Bergakademie Freiberg, continues its lecture series in 2012 together with its partner, the Freiberger Colloquium. The first event of the year, scheduled for Thursday, 26th of January 2012 at 7.30 pm, is dedicated to the UNESCO World Heritage Project "Ore Mountain Mining Region". Prof. Dr. Helmuth Albrecht, speaker at the event and head of the project group at TU Bergakademie, says: "The Ore Mountains on both sides of the German-Czech border provide a unique cultural landscape that is inextricably linked to mining and for centuries has been - economically and technologically - the most innovative and important industry in Saxony. The testimonial to this history, which is still alive today, is evident in several ways: In mining monuments above and below ground; in the landscape, mining towns and settlements; as well as in the traditions of the Ore Mountain population." This lecture will discuss the Ore Mountain Mining Region World Heritage project, which currently is in its last preparatory phase. This will include, among others, an explanation of the unique, universal value that the Ore Mountains cultural landscape contributes to world heritage; the projects unique implementation process as well as its current status and its overall importantance to the entire region.